You may be an answer to prayer! Encompass is looking for people to join their Mobilization Services team, sending and sustaining cross-cultural workers to make disciples among the least reached peoples of the world. At Encompass, you could use your professional skills to make an eternal difference. They have several openings to full-time positions, each with a different emphasis. They are praying that God would lead the right person for each position on the team. There may be one that fits you. 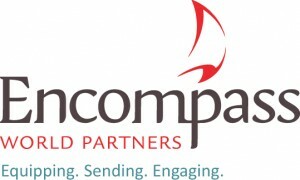 For more information and complete ministry descriptions, visit http://www.encompassworldpartners.org/hiring.